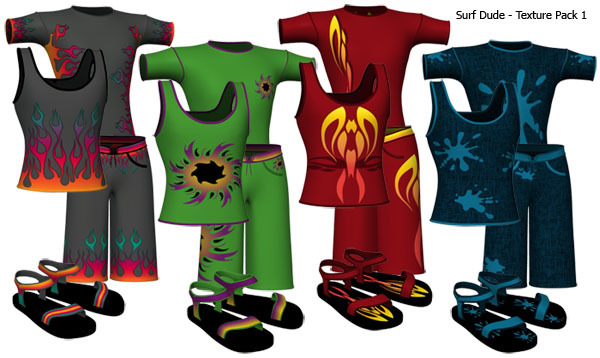 Surf clothing set for our favorite poser males. 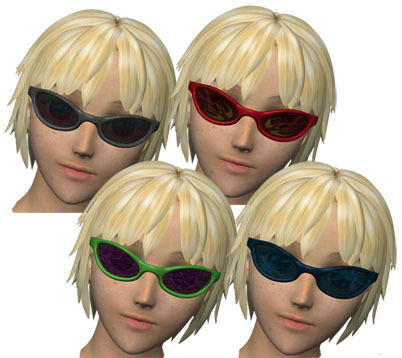 Includes shorts, t-shirt, tank top, sandals, and shades. Sets for other figures coming soon. Textures and templates are separate downloads. 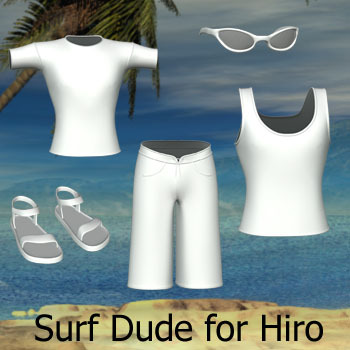 If anyone makes textures for the surf dude clothing they would like to share, I would be more than happy to host them here with the rest of the stuff.